The US Securities and Exchange Commission is suing Volkswagen and its former chief executive, accusing them of defrauding investors by making deceptive claims about the environmental impact of its cars. The regulator said that from 2007 until 2015, VW carried out a massive fraud when selling securities and half a million cars it described as clean diesel, when executives knew about the extent of the cheating, the SEC alleged. The cars emitted 40 times more harmful nitrogen oxides than allowed under US rules. 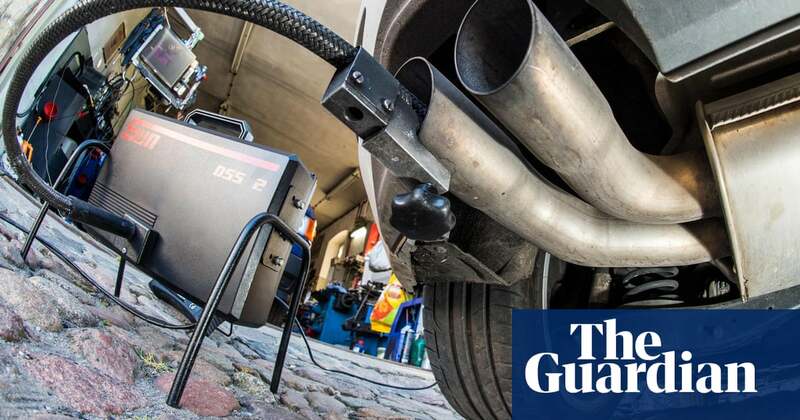 The decision is the latest blow to the German carmaker from the dieselgate scandal, in which it admitted to installing software on its vehicles to trick emissions tests. The scandal has caused a political backlash against diesel, which has caused sales to slump from manufacturers around the world. VW has already paid out billions of dollars in fines to US and German authorities in criminal and civil actions. Martin Winterkorn, who resigned in 2015 as VWs chief executive when the scandal was revealed, is also named in the civil complaint, which was brought by the SEC late on Thursday. The SEC said: Volkswagen issued more than $13bn in bonds and asset-backed securities in the US markets at a time when senior executives knew that more than 500,000 vehicles in the United States grossly exceeded legal vehicle emissions limits, exposing the company to massive financial and reputational harm. The company made false statements to investors and the banks underwriting the securities, gaining hundreds of millions of dollars in benefit, the SEC said. In the complaint, it was stated that the company misled investigators, concocted a sham software fix and destroyed evidence. Issuers availing themselves of American capital markets must provide investors with accurate and complete information, said Stephanie Avakian, a co-director of the SECs division of enforcement. As we allege, Volkswagen hid its decade-long emissions scheme while it was selling billions of dollars of its bonds to investors at inflated prices. In a statement, VW said it would contest the action, which it described as unprecedented and legally and factually flawed. No investors were harmed, VW said. VW said: The SEC does not charge that any person involved in the bond issuance knew that Volkswagen diesel vehicles did not comply with US emissions rules when these securities were sold but simply repeats unproven claims about Volkswagen AGs former CEO, who played no part in the sales.